Home /Health/Fitness/What are BCAA’s and why is it essential for us? If you are a fitness enthusiast & spending a lot of your time in the gym but still not getting the results, it is time for you to bring in some health supplements to your diet. Whey protein powder mixed with BCAA supplements has proven to be extremely beneficial for good muscle growth, repair and recovery post workout. BCAAs are commonly taken in order to increase one’s workout performance and boost muscle growth and endurance. They also help with weight loss, muscle recovery and reduces fatigue after a strenuous workout session. 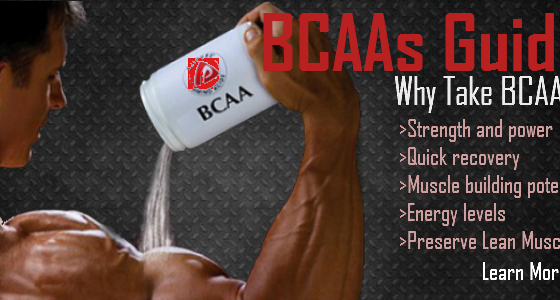 Let us first understand, What are BCAA ’s? BCAA stands for Branched-chain amino acids which is a group of three essential amino acids namely leucine, isoleucine and valine. The term “branched chain” refers to the structure of amino acids present in protein-rich foods. Essential amino acids are not formed by the body, naturally. It needs to be consumed from outside sources like protein-rich foods & other health supplements. Out of the three essential amino acids. Leucine is responsible for muscle growth and build-up whereas isoleucine and valine seem to be more effective in producing energy and helps in regulating blood sugar levels in the body. BCAAs help in increasing the growth of muscles with an effective and normalised protein synthesis in the body. It helps in activating enzymes responsible for natural mass gain. A higher proportion of leucine than isoleucine and valine in your BCAA Supplement works out to be more effective in muscle growth and build-up. BCAAs are extremely vital for effective muscle repair and recovery. After a strenuous workout session, your muscles require at least 48 hours to repair and recover the damaged tissues in the body. Consuming BCAAs may help reduce physical and mental fatigue. If your body starts feeling sluggish and fatigued after a stressful workout session, mix a full scoop of BCAA supplements in your protein shake and get away with fatigue and dullness. The workout seems to be more effective when you are active and energetic throughout the process. A healthy body is capable of enduring rigorous workouts and exercises for a more extended period of time. Recent studies have shown BCAAs, especially leucine and isoleucine help in increasing the insulin production in the body which assists in the reduction of blood sugar levels. Enjoy every bit of workout session for an effective and power packed performance. Bring home the best quality whey protein and a pack of BCAA supplements & get your dream physique in just no time. Do consult your trainer for the right dosage & consumption time. We hope this article sums up all the prominent benefits of BCAAs for one’s body. Do leave your comment below if you have any queries with BCAAs functionality & benefits.